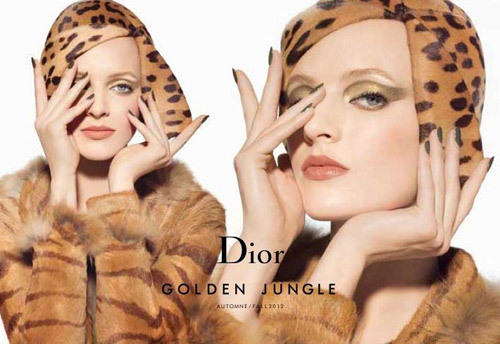 Today I’d like to present you autumn collection Dior Golden Jungle. And it’s already in all stores. Carine Roitfeld and Steven Maisel participated at this campagne. So there is no surprise that it is killing beautiful!